IF YOU HAVE THICK OR LONG HAIR DOUBLE THE AMOUNT OF A AND B! Mix equal Parts A and B in a plastic or glass bowl until combined. DEVELOPMENT TIME - The amount of time you leave the mixture in your hair: 20 minutes. 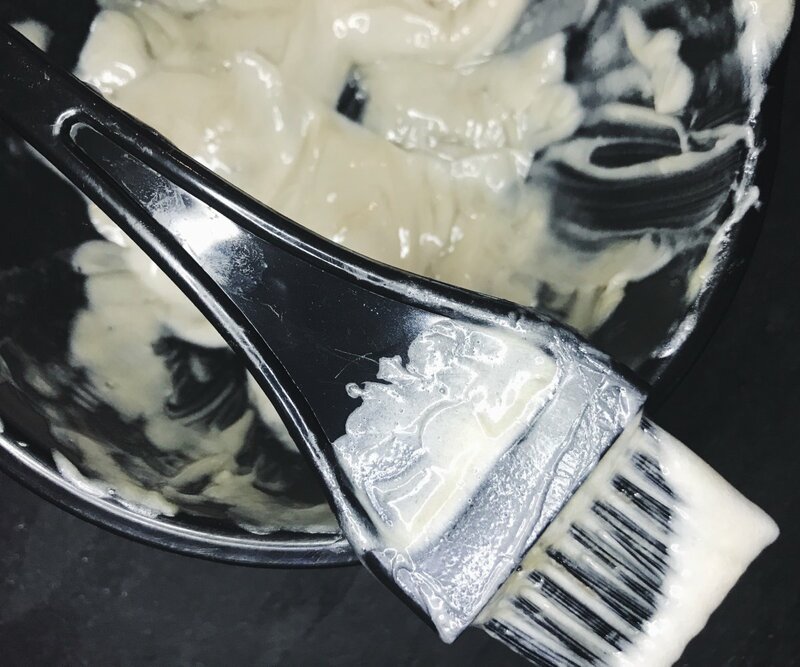 Apply Color Remover carefully and evenly to dry hair, covering all areas that contain the unwanted/outoging hair color. Apply the Color Remover as soon as it is mixed, as performance decreases with time. Once the Color Remover has been applied to your hair, wrap the hair with plastic cling wrap or a shower cap. Leave on for 20 MINUTES to develop. If the Color Remover causes irritation rinse out and do not continue to use. Once the development time has been reached, rinse your hair for 3 to 5 minutes in warm water and shampoo vigorously 2 to 3 times. IF THE COLOR IS NOT COMPLETELY REMOVED, REPEAT STEPS 1 AND 2. DO NOT REPEAT THE COLOR REMOVER PROCESS MORE THAN 2 TIMES IN A ROW.